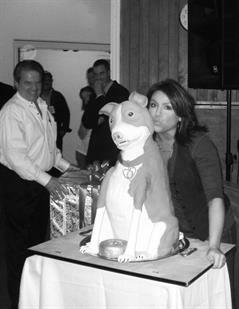 One of their many career highlights was working with the world famous chef Rachel Ray. 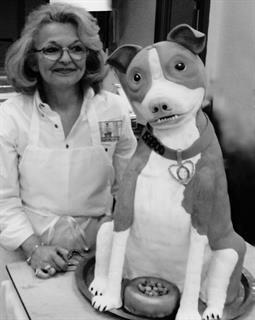 The duo created a beautiful cake for Ray which was a life sized mock up of her beloved pooch! 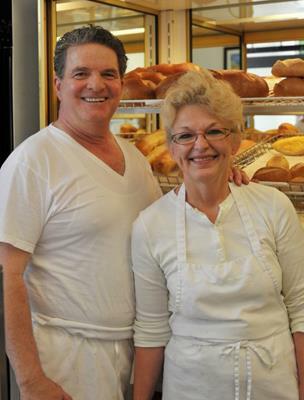 Carl “Buster” and Debbie Alberino have been in the baking business for over 26 years, and have generated a large following of return customers and friends. Known for the delicious "Fudge Fancy" cookies they sold them in-store and local supermarkets and other stores throughout the region. Lake George Baking Company in Lake George, and also their new addition, Lake George Baking Company in Queensbury, NY. Currently the bakery offers a variety of European desserts, pastries, unique cookies, custom wedding cakes, birthday cakes and special occasion cakes made to order.